My teenage kids are aged 13 and 15. They usually spend long hours in front of the computer with the Internet. I am worried that they might access harmful websites. Is there a way that I can block these harmful sites? If you are one of the many parents who are worried about your teenage kids accessing harmful websites, here is good news for you. 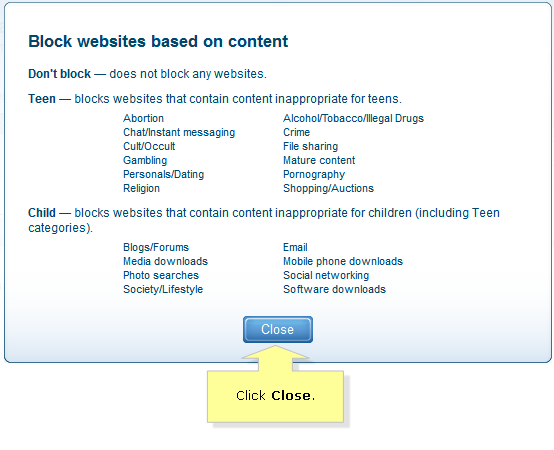 With Linksys Connect, you can block specific websites. Read on to find out how you can block their computers by specifying the websites or keywords. This article assumes that you have Parental controls set up. If Parental controls has not been set up, click here for instructions. 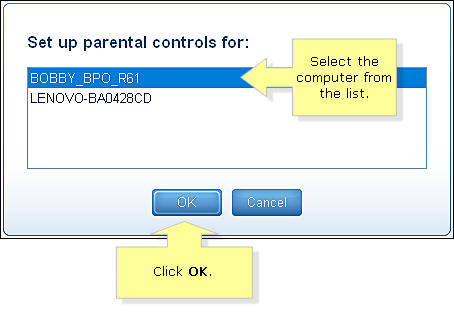 NOTE: The Linksys E1200, E1500, E1550, E2500, E3200 and E4200 routers have a built-in Parental controls feature. 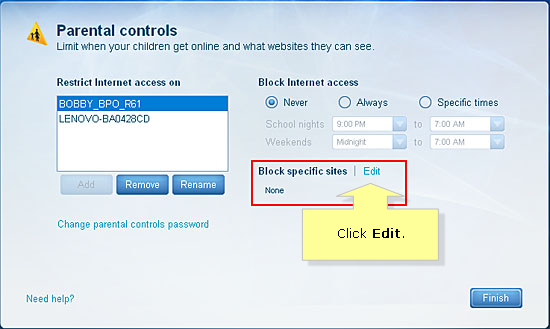 To know how to set up the Parental controls feature using your router's web-based setup page, here. Launch Linksys Connect and click on Parental controls. Select the computers that you wish to set restrictions on from the list. Select ONLY one computer at a time. Then, click OK. NOTE: To launch Linksys Connect on a Windows computer, go to Start > All Programs > Linksys Connect. To launch Linksys Connect on a Mac computer, navigate to the Applications folder in Go, and then start Linksys Connect. To learn more on how to launch Linksys Connect on your computer, click here. Click on Edit beside the Block specific sites link. 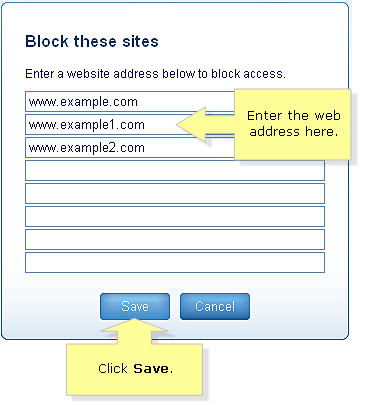 Enter the web address of the websites that you want to block, then click Save. Click the button to exit the Parental controls screen. NOTE: All sites specified under the Block specific sites option are not accessible regardless of the time restrictions set on Parental controls. When accessing the blocked websites, Linksys Connect will require you to enter the Parental controls password. This means that your settings have been successfully saved. If the Parental controls password is entered, the blocked website will only be available for one hour. If you are using a Valet or Valet Plus hotspot, you will see an added feature in Parental controls as highlighted in the image. To know more about the options available, click on What's this?.